Big Red Car here in the post election aftermath taking a look at some numbers. One of the most interesting numbers is voter turnout in Texas in regard to l’affaire Beto (Robert Francis O’Rourke of El Paso, Dem candidate for Senate v Teddy Cruz, Rep candidate). This is the race that the entire country was throwing money at the Dem candidate to the tune of $72MM. Ted Cruz raised $40MM, but the story today is what happened to the turnout. What did all that money buy as it relates to turnout? With 15,249,541 registered voters, this was a 54.48% turnout. So, how does this compare with other races? We shall take a look at the 2016 Presidential race and the 2014 mid-terms for comparison. In 2016, the numbers were as follows. This is the first mid-term election after the election of President Obama. Actual voter turnout was 33.70% of registered voters. 1. The 2014 mid-term election drew 4,727,208 (33.70%) voters versus 8,308,948 (54.48%) yesterday. Huge increase. 2. Yesterday’s voting total compares with the 2016 Presidential turnout of 8,969,226 (59.39%). It was a huge turnout as compared to typical mid-term turnout. This was a big, well-funded contest with more than $110MM raised and spent. That is a huge expenditure. Robert Francis O’Rourke raised a ton of money, outraised his Rep opponent handily though much of it was from out-of-state (does that matter to voters?). Beto was an attractive candidate though your Big Red Car was totally underwhelmed by his lack of performance as a US Congressman. I do think he is the “hip, new, generational transfer” type of candidate that we have seen before (John Kennedy, as an example) and we will see again. There is no doubt that turnout is driven, in part, by available funding. Beto spent a lot of his booty on social media, which may be something subject to study going forward. Beto won votes exactly where he should have won them — in urban areas, in the Rio Grande Valley, in the El Paso area. Ted Cruz got all the rest of the votes and some in those areas. Is this a shift in the makeup of Texas? Not likely when you look at the gubernatorial results, but that is a discussion for a different day. “This IS my happy face. 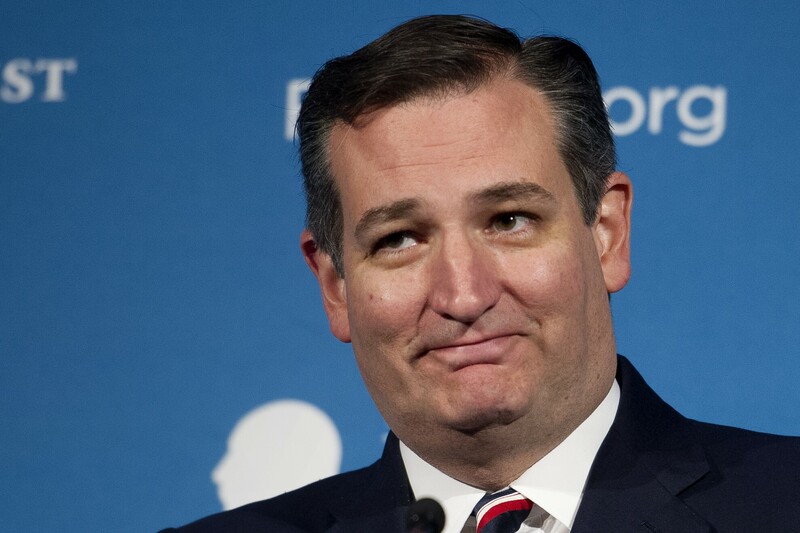 I’m just glad i dodged that Beto bullet.” Teddy Cruz, re-elected in a landslide as Junior Senator from Texas. But, hey, what the Hell do I really know anyway? I’m just a Big Red Car. Be good to yourself and aren’t you happy the election is finished? It’ll be at least a week before the 2020 election starts. This entry was posted in Politics and tagged beto, cruz, turnout. Bookmark the permalink.